Who Can Participate in Family Therapy at New Jersey Drug Rehabs? Family plays an essential role in addiction recovery. The support, positive reinforcement, and comfort a patient can receive from their loved ones play a tremendous role in their own outlook. 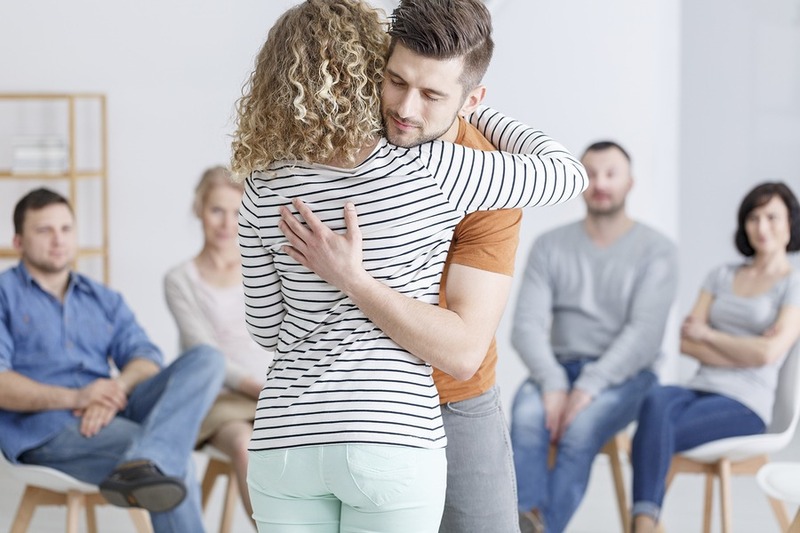 While New Jersey drug rehabs often focus on providing patients ample therapy to address their personal issues, family counseling sessions are often included in a treatment program. Over the course of multiple sessions, family members can come together and learn more about the nature of addiction, gain insight on their loved one’s struggles with substance abuse and discover how they can contribute to their recovery. Although they only have your best interest in heart, parents or spouses many overstep boundaries in an attempt to keep you sober. Rather than taking responsibility and all the shame, guilt, and anger that comes with it, family counseling in rehab will help each member understand their role and how they can best assist someone through treatment. Who can participate in family therapy? Immediate family is usually included in family treatment. Spouses, parents, siblings, and children can often be invited with the patient’s permission to participate in counseling and learn more about addiction and recovery. What do you talk about in family therapy at a drug rehab? Even the most tight-knit families can struggle to communicate and stick together under the strain of substance abuse. Family therapy will help each member learn how to help a patient avoid triggers including reducing conflict and communicating more positively. It’s vital that the patient doesn’t feel like a burden or at fault for their addiction. Dysfunctional relationships are often a trigger for many people. Family therapy can help heal old wounds and teach people effective conflict resolution strategies to become closer while repairing any past damages. Under the guidance and supervision of a licensed, experienced family counselor, people will be able to gain a deeper understanding of substance abuse, be themselves and comfort each other during a difficult time. The vulnerability and camaraderie expressed during these sessions can play a major role in the overall success rate of a patient’s treatment. Do I have to have family therapy? If you do not have a good relationship with your family members, you aren’t required to participate in counseling with them. If your family may lure you back into a lifestyle of drug use or does not offer the type of support you need, then it may be best to keep a distance during this time. Your therapists will never force you to meet with anyone you don’t want to see. Instead, you can talk to your counselor and determine the best course of action for your treatment. Whatever type of drug treatment you need in New Jersey, we can help you find the right facility. Get in touch with one of our operators at any time by calling 833-762-3765.